Charles Hemphill Fay with second wife Mary Smith, 1975. Image available on the Internet and included in accordance with Title 17 U.S.C. Section 107. 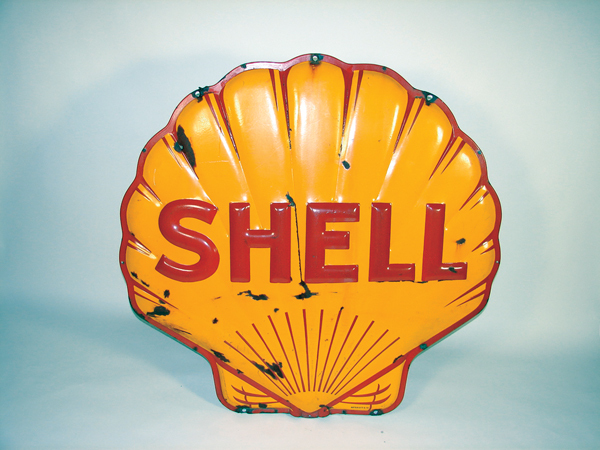 Shell Oil Logo. Image available on the Internet and included in accordance with Title 17 U.S.C. Section 107. Seismometer. Courtesy of The University of Queensland. Image available on the Internet and included in accordance with Title 17 U.S.C. Section 107. FAY, CHARLES HEMPHILL (1910–1987). Charles Hemphill Fay, physicist, was born on January 29, 1910, in Austin, Texas, to Edwin Whitfield Fay and Lucy Belle (Hemphill) Fay. He attended the Whitis School, a private school in Austin, until he completed the sixth grade, at which time the Whitis school closed. He then attended and graduated from John T. Allen Junior High School and Austin High School. He majored in physics at the University of Texas at Austin and was a Junior-5, one of only five juniors elected to Phi Beta Kappa in his junior year. He graduated in 1930 with highest honors and in 1931 earned his master's degree, also at the University of Texas. On May 17, 1931, in Austin, Fay married Dorothy Louise Wild, who had received the masters degree that year in clothing from the home economics department of the University of Texas; they had two children. Fay was a Whiting Fellow at Harvard University (1932–34) and a Thayer Scholar (1934–35); in 1936 he received his Ph.D. in theoretical physics from Harvard. He remained at Harvard as an assistant from 1936 to 1937, then moved to the University of Tulsa, Oklahoma, where he was an instructor (1937–38) and an assistant professor and the head of the physics department (1938–41). He was elected to the Society of Sigma Xi in 1938. Fay joined the Geophysical Laboratory of Shell Oil Company in Houston in 1941 and remained with Shell until his retirement from the Exploration and Production Research Laboratory in February 1969. At that time his title was Consultant, Physics. His specialty was the design of seismometers, seismic amplifiers, and well instruments. He is named on twenty-one United States Patents and is the sole inventor on eleven of these. He was a member of the American Association for the Advancement of Science, the American Association of Physics Teachers, the American Geophysical Union, the American Physical Society, the Society of Exploration Geophysicists, and the Society of Petroleum Engineers. He was also a member of the Texas Academy of Science, the Houston Philosophical Society, and the St. Bartholomew Chapter of the Huguenot Society of Texas. After the death of his first wife, Fay married Mary Smith on September 4, 1969, at St. Stephen's Episcopal Church in Houston. Fay died on December 16, 1987, and was buried at the Oakwood Cemetery in Austin. American Men of Science, 1949. Geophysics: The Leading Edge of Exploration, February 1989. Houston Post, December 17, 1987. Handbook of Texas Online, Mary Smith Fay, "FAY, CHARLES HEMPHILL," accessed April 18, 2019, http://www.tshaonline.org/handbook/online/articles/ffa21.